8-hydroxy-2'-deoxyguanosine (8-OHdG) is a product of oxidatively damaged DNA formed by hydroxy radical, singlet oxygen and direct photodynamic action. 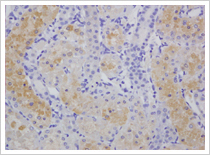 Anti 8-OHdG monoclonal antibody (clone N45.1) is highly specific for 8-OHdG, and is suitable for immunohistochemistry. Cross reactivity have been checked for 8-OHdG analogues (guanosine(G),7-methyl-G, 6-SH-G, 8-Bromo-G, dA, dC, dT, dI, dU, dG, O6-methyl-dG, 8-OHdA, guanine(Gua),O6-methyl-Gua, 8-OH-Gua, uric acid, urea, creatine, creatinine, 8-sulfhydryl-G, 8-OH-G). Thymidineglycol (TG) is one of the major oxidation products of DNA. Thymidine (T) can be damaged by oxidative stress such as radiation and energy metabolism. Two different pathways to form TG have been suggested. Deoxythymidine in DNA is directly oxidised by hydroxy radical, to form TG. TG can be also formed through an intermediate thymidine chlorohydrin, which is derived from hypochlorous acid (HOCl) from neutrophil myeloperoxidase. Thymidineglycol is derived from DNA, not from RNA. TG is the oxidative stress marker secific for DNA damage. Tyrosine is one of the major targets of protein oxidation, and until today various tyrosine derivatives such as nitrotyrosine, dityrosine and halogenated tyrosine depending on the type of free radicals. DT is a tyrosine dimer derived from tyrosyl radicals which is formed by reactive oxygen species (ROS), metal-catalyzed oxidation, ultraviolet irradiation, and peroxidases. 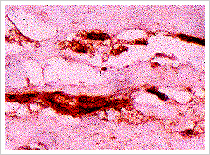 DT have been found in atherosclerotic lesions, and lipofuscin of pyramidal neurons of aged human brains. 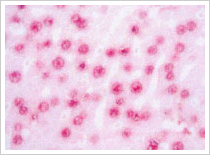 Dityrosine is one of the specific biomarkers for protein oxidation. Tyrosine is one of the main targets of protein oxidation, and it have been reported form nitrotyrosine, dityrosine and halogenated tyrosines depending on the type of free radicals. For example, hypochlorous acid (HOCl) and hypobromous acid (HOBr) are derived from neutrophil myeloperoxidase (MPO) and eosinophil peroxidase (EPO), and known to form dihalogenated tyrosines such as DiBrY, DiClY and DiIY. It is expected that DiBrY may be a novel biomarker for tissue damage which is related to inflammatory and allergic disorders. During the peroxidation process, a variery of aldehydes are formed. 4-hydroxy-2-nonenal (4-HNE) is an alpha, beta unsatulated aldehyde that can be formed by peroxidation of omega-6 unsatulated fatty acids such as linoleic acid and arachidonic acid. 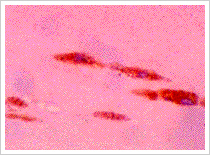 Especially, 4-HNE formed inside living body is reported to originate from phospholipid-bound arachidonic acid. 4-HNE may be one of the most reliable biomarker of lipid peroxidation. This antibody show almost negligible reactivity with proteins that were treated with other aldehydes, such as 2-nonenal, 2-hexenal, 1-hexanal, 4-hydroxy-2-hexenal,formaldehyde, or glutaraldehyde. Aldehydes such as malondi-aldehyde (MDA) and 4-hydroxy-2-nonenal (4-HNE) have been reported as one of the advanced lipid peroxidation products. But recently in the earlier stage of lipid peroxidation, 13-hydroperoxyoctadecanoic acid (13-HPODE) is found to be covalently bound to proteins1). Hexanoyl-Lysine adduct (HEL) is a novel lipid hydroperoxide-modified lysine residues. HEL is formed by oxidative modification by oxidized omega-6 fatty acids such as linoleic acid or arachidonic acid. This monoclonal antibody is spesific for proteins and peptides containing HEL. 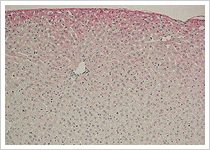 Suitable for HEL detection by immunohistochemistry and western blotting. Acrolein (ACR) is a representative carcinogenic aldehyde found ubiquitously in the environment and formed endogenously through oxidation reactions, such as lipid peroxidation and myeloperoxidasecatalyzed amino acid oxidation. This antibody is specific for the ACR-modified protein, especially FDP-lysine type derivative. Malondialdehyde (MDA) is one of the major aldehyde derive from lipid peroxidation. MDA is highly reactive aldehyde and reacts with lysine residue in protein. The reaction with MDA and lysine residue leads to the formation of numerous numbers of adducts, such as dihydropyridine-lysine (DHP-lysine) type derivative. This monoclonal antibody is specific for the MDA-modified protein, especially DHP-lysine type derivative. 4-hydroxy-2-alkenal is one of the major lipid peroxidation products, and shows many biological effects such as high toxicity to cells. Among them, 4-hydroxy-2-hexenal (HHE) is an aldehyde formed during peroxidation of n-3 fatty acids such as docosahexaenoic acid. HHE is highly reactive aldehyde and reacts with histidine residue of protein to form Michael-addition type adducts. This antibody is specific for HHE-histidine Michael adduct (HHE-His) and enable to detect HHE-His in the tissue samples. 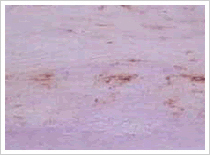 Crotonaldehyde (CRA) is a representative carcinogenic aldehyde formed endogenously through lipid peroxidation. CRA is highly reactive aldehyde and reacts with lysine residue in protein. The reaction with CRA and lysine residue leads to the formation of numerous numbers of adducts. 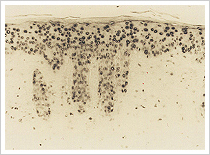 This antibody is specific for the CRA-modified protein. Methylglyoxal (MG), an endogenous metabolite that increases in diabetes and is a common intermediate in the Maillard reaction (glycation), reacts with proteins and forms advanced glycation end products (AGE). MG reacts with arginine residue in protein and forms numerous numbers of adducts, such as argpyrimidine. This antibody is specific for argpyrimidine: N-(5-hydroxy-4,6-dimethylpyrimidine-2-yl)-L-ornithine. Reactive nitrogen species (RNS) are formed in a variety of diseases such as atherosclerosis, inflammation, cancer and neurodegenerative disiases. Peroxinitrite (ONOO-) is known as a potent biological oxidant, which is formed via very fast reaction between nitric oxide (NO) and superoxide (O2-). 6-nitrotryptophan (6-NO2-Trp) is shown to be one of the most stable and major ONOO--modified amino acids, and growing evidences suggest that nitrotryptophan may play a significant role in the cellular regulation under nitrosative stress.